Known for their wildly-popular City of Night performance art and installation event, Emerging Leaders in the Arts Buffalo (ELAB) has another event coming this weekend that is designed to stimulate the mind and the senses: Cirque de la Lune. 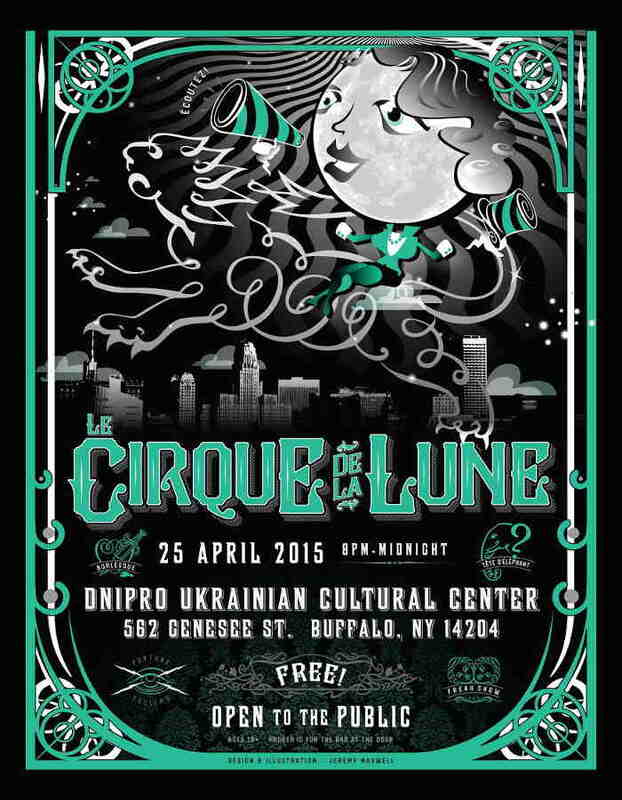 Held at the Dnipro Ukrainian Center this Saturday, April 25th, Cirque de la Lune is a free (!) event that will include dazzling light displays, DJs spinning dance tunes, dancers, fortune telling and food from The Black Market Food Truck. ELAB’s event organizer Tara Sasiadek recently told me that people walking through the doors of the Ukrainian Center that night can expect to see the old building transformed into one massive and crazy carnival. Visitors can also expect to see belly dancers and burlesque dancers appear randomly throughout the night. The event will also feature aerialists, drag performances, live poetry from the Living Poets Society and jazz dance from the ModDance Company. Sasiadek said all these performances are very loosely scheduled so attendees can expect a sort of controlled chaos to go along with the various installations and visual displays. “It’s meant to be where every moment is a different experience or a unique experience for the people who come,” Sasiadek said. For people who need a break from the chaos, the event will also feature a series of tents when attendees can have they fortune told, face painted, body painted or their caricature drawn. In addition to food from The Black Market Food Truck, popcorn and cotton candy will also be available. Beer and cocktails can be purchased from the Ukrainian center bar. 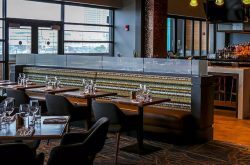 The bar area will also feature music from DJ Soma and Armageddon Party, so you’ll be able to bust out the latest dance moves and getting in a little performance of your own. Sasiadek emphasized that people should come ready to party, and that includes dressing the part. “We’re also going to have different photobooths, so people can hashtag it #ELABBuffalo if they want,” she added.